Last night concluded the Snow Goodreads Giveaway of 100 ebook copies! Congratulations to the winners! However, if you didn’t win, you can still get your ebook copy of Snow FREE for the next 4 Days-until May 1st-in celebration of the release of Blizzard, Book II in the Black Ice Trilogy! Blizzard is currently available on paperback through Amazon, and the ebook releases May 6th. Hello my lovelies! Tomorrow ENDS the Snow 100 ebook Goodreads Giveaway! Don’t miss out on your chance to win, and share with your friends! 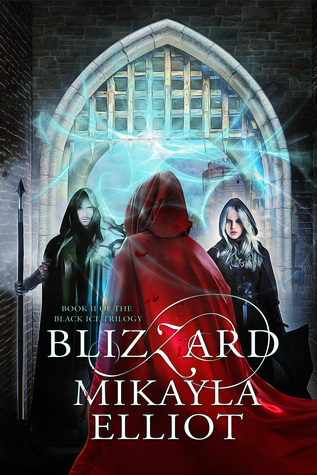 Blizzard is now available for preorder on eBook, and the Paperback is Available to Order Now! In the way things work, I had no control over this but: Blizzard is Available Now on Paperback! Slightly frustrated…but there it is. Ebook will still release May 6th :). Blizzard Paperback – To Party or Not To Party? I received the book cover for the paperback from Fiona Jayde <3! The thing I’ve been considering and wanting to do is a book release party and signing, currently I’ve started seeking out possible venues-as I would be funding this entire venture. Then consideration to who to invite, how to advertise because these would be local…I really can’t wait for all this to come together though <3_<3! Ahhh but what to do?! Preorder Blizzard To-Day! 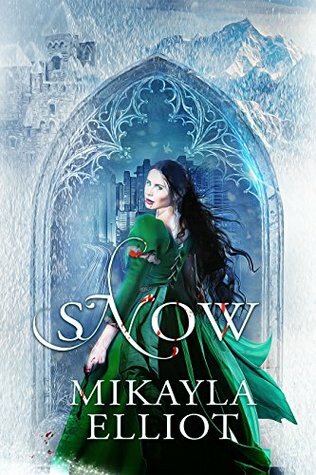 Snow eBook Free 1 Week! IT’S HERE, IT’S FINALLY HERE! You can Preorder the Blizzard eBook To-Day! In celebration of this momentous occasion you can get your eBook copy of Snow for FREE starting April 27th to May 1st! If you haven’t had an opportunity to learn about Neva and her harrowing journey, then be sure to take advantage of this opportunity while it lasts! Alright, I finished it >.<! The maps are done and handed over, though I probably messed those up a little…anyway. It’s done…I’m late for a party now>.<! My workload at my day job-where is all this going? My mental health-stress from everything going on which reaches further/deeper into my life has a habit of building up and overwhelming me a few days every few weeks. Yes, for the “in-betweens” there should have been more as inherently implied by the plural nature. The truth here is nothing is rainbows and unicorns, all writers have their dark corners, and mine are a variety of shades. I am thankful that I have the people in my life that I do to help me, support mentally and emotionally. Anyone who doesn’t have such immediately available, don’t be afraid to seek it out. You read that right, folks! I’m giving away 100 ebook copies of SNOW on Kindle through Goodreads! Enter to win, share the news, and let’s all get prepared for the upcoming release of Blizzard on May 6th! When does this happen, you ask?! Start Entering to Win on April 15th-27th! If you win, don’t forget to Share your Honest Review & Rating on Amazon <3! Blizzard is set for a release date of May 6th! You heard it, Ladies & Gents, there is a Set Release date for Blizzard! Don’t miss the opportunity during the first full week of May, from the 1st – 5th, to get your Free ebook copy of Snow, and share the news!